We offer a complete line of manual and motorized crimp pull testers for destructive and non-destructive testing according to international standards. 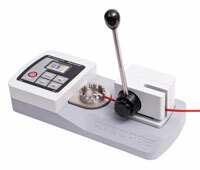 Test stands for wires from 30 to OOOO AWG are available. 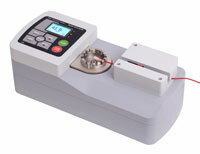 Test ring, spade, molex and many other terminal types with our test systems. 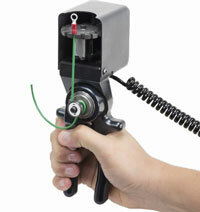 Not sure which pull tester is best for your application? Please call or email our knowledgeable team to review your needs. The WTT-ESMHD system is a high capacity motorized pull tester designed for checking wire terminal crimp strength per UL and MIL specifications. Available in 750 or 1500 lb capacity, the WTT-ESMHD includes a slotted wire terminal fixture accommodating wires up 0000 AWG (4/0) (.46" / 11.8mm diameter). Accommodates a wide range of wire diameters, up to 0.25 in. (6.4 mm) / 20 - 3 AWG.